Watching a James Bond film can make you want a lot of different things: fancy cars, secret agent training, the company of a beautiful woman or handsome man, or even a new wardrobe full of sharp formalwear. The films are designed as much to be eye candy as anything else. Above all else, however, many of them can make you want to tour the world and see some of the incredible cities and gorgeous getaways that Bond and the surrounding characters tend to wind up in. It’s a sprawling franchise full of incredible destinations. Fortunately for us, the idea of visiting these destinations is more attainable than most of those other things mentioned above! Generally speaking, Bond movies make use of real places rather than making them up, which means filming spots are perfectly accessible to anyone with a dose of wanderlust and a bit of initiative. To prove the point, here’s a look at five legendary locations from the films that you can actually visit in real life. 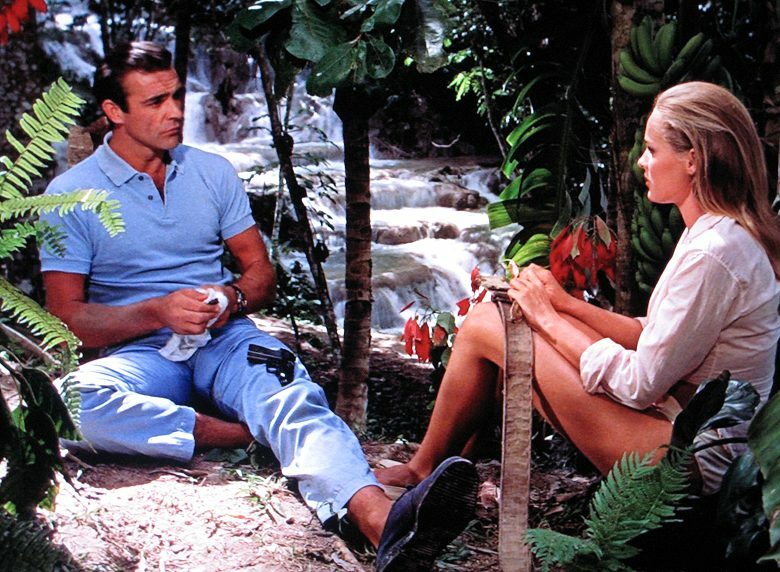 Fans will remember a scene in Dr. No when Sean Connery (Bond) and UrsulaAndress (Honey Ryder) ducked under a surreal waterfall in order to avoid capture, using bamboo shafts like snorkels. In the film, this happens in a fictional location. But the actual setting was the Dunn’s River Falls in Ocho Rios, Jamaica. This location is among the most popular tourist destinations associated with an exotic Bond scene.Indeed, travelers insist you allot a couple of hours to climb the Falls if you happen to be visiting the Ocho Rios area. 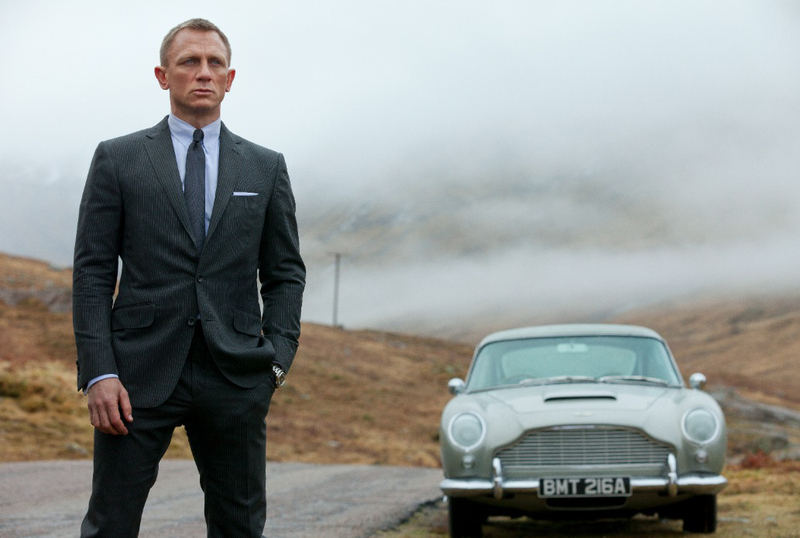 This is the setting of one of the most recent Bond films: Skyfall. It was an unusual location in the franchise in that it represented not some far reach of the film where a villain lurked or a mission was necessary, but rather a chapter of Bond’s past. Glen Etive is an area in the Scottish Highlands that was used as the backdrop for “Skyfall,” where the country house from Bond’s childhood was. This is where the film reached its climax, and where Daniel Craig’s Bond had his final showdown with Silva (Javier Bardem). It’s a gorgeous place for a hike, as well as some general sightseeing. You Only Live Twice, a 1967 Bond film, saw Sean Connery making his way to Japan, where he ultimately visited a sort of traditional ninja academy run by Tiger Tanaka (Tetsuro Tanba). The academy itself doesn’t exist, but if you’ve ever been intrigued by the setting you’ll be interested to know it was created within Himeji Castle – a very real building in the Hyogo Prefecture of Japan. It’s a postcard-perfect ancient sight that has been called the finest surviving example of 17th century Japanese castle architecture, and you can’t help but absorb a sense of adventure from seeing it in person. Daniel Craig’s first turn as Bond, in Casino Royale, involved casino venues arguably more intimately than any previous Bond film. Yet many are under the mistaken impression that the fictional “Casino Royale” was the Monte Carlo Casino. While there are some similarities, this isn’t accurate. The inspiration for the casino came from Ian Fleming’s time at the Casino Estoril in Lisbon – and the actual casino, or at least its beautiful exterior, was filmed at the Karlovy Vary Spa in the Czech Republic. It’s a renowned spa, and in fact the whole town of Karlovy Vary is known as a relaxing and attractive retreat well worth visiting. It may surprise you to learn that there’s actually an island in Thailand that has taken on the name of James Bond. 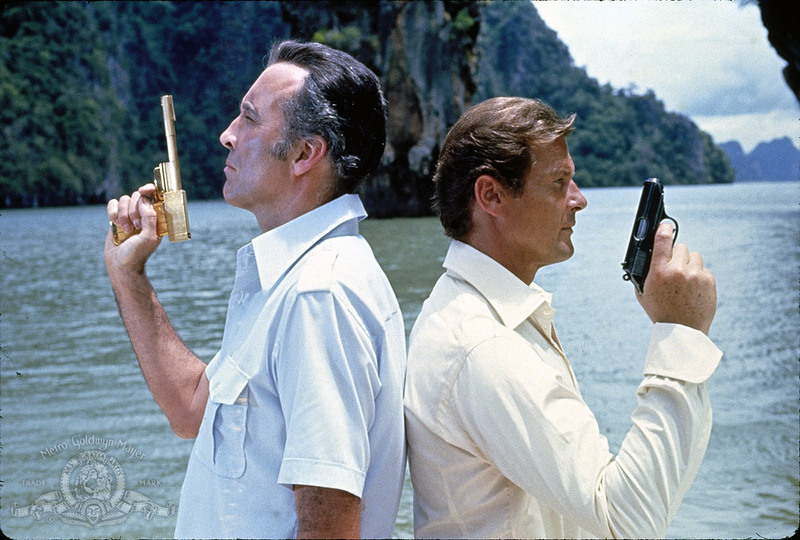 Such is the case, however, at TapuIsland, a pristine getaway that was used as the hideout for Christopher Lee’s famous Francisco Scaramanga villain. Scaramanga and Bond (RogerMoore) famously dueled on this very beach in The Man With The Golden Gun - but you can have a far more relaxing time if you manage to visit! 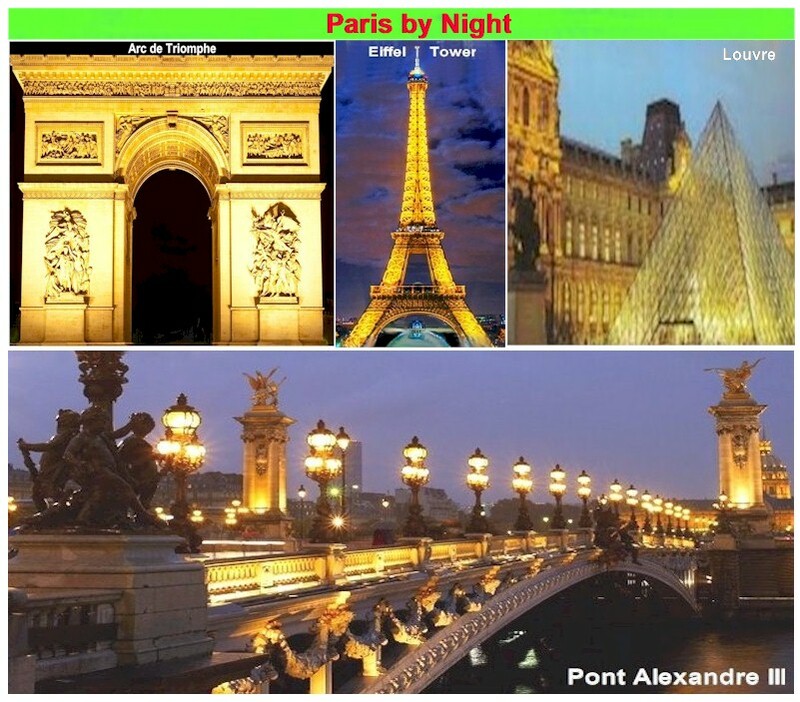 Paris – City of Lights: it’s called this because Paris was one of the first cities to become fully electrified. It’s called City of Amour because, well, simply put, the French know something about amour. Any visitor leaves forever remembering the sites – and the sites in the night lights. The Place de Concorde is the gateway to Les Tulieries and, nestled at the very front, are huge Rodins and the Musee de l’Orangerie [home of Monet’s “Water Lilies”], which houses hundreds of works by Impressionist masters. Lighting enhances the stunning beauty of the world’s most famous/visited museums, the Louvre, the former palace where art lovers view such objets d’art as the Mona Lisa, Winged Victory, and Venus de Milo. You might also call Paris the City of Museums. In addition to l’Orangerie and the Louvre, there’s the huge post-Modern high-tech steel and concrete Centre George Pompidou, with the largest collection of modern art in Europe; the D’Orsay; the Picasso; and prized private collections at the Jacquemart-André, Marmottan-Monet, Nissim de Camondo, and Louis Vuitton Foundation Musees to name but a few. leaving Paris without a visit would be a huge mistake. You mighgt even consider lunch at the reasonably-priced bistro overlooking the Palais gardens. You will feel the majesty of Napoleon and the history of France at L’Arc de Triomphe. From there sail the well-heeled shopper’s paradise along the Champs Elysees, with a detour to the famed George V Hotel [soon to unveil its multi-billion Euro renovation]; then, pass tributes to Presidents Washington, Roosevelt, and Eisenhower, and statue of Churchill. While only the super, super rich can afford the magnificence of the Hotel de Crillon [upward of $1,300 a night, continental or full breakfast included; where Who among the world’s Who’s Who hasn't stayed], which has just reopened after its first major/total facelift in nearly 100 years, you can freely admire the lighted facade, even make a pit stop to admire the grandeur of its 18th Century lobbies, dine at the patio restaurant, and, by day, visit the garden. In the center of it all is the stately Palais Opera Garnier. Purchase tour/guided tour tickets to be swept away by the sweeping 19th century architecture, which includes the grand staircase, and galleries and salons which redefine the definition of regal grandeur. It’s home to the eight-ton bronze and crystal chandelier with 340 lights. Don’t miss having a photo taken in front of the box reserved for the phantom! Nearby is the ultra-modern Opéra Bastille. At the pinnacle of the Latin Quarter is the stunningly lit by night and worthy of a visit by day Panthéon. After viewing the fountains of the Gardens du Trocadéro with a magnificent view of the dazzling light show on the Eiffel Tower, cross the Pont d’Léna to the Left Bank, where you can marvel up close at Alexandre Gustave Eiffel’s 1889 tower of steel -- even elevator up to the top for dinner and a dazzling city view. Not far away is the Musee D’Orsay, the breathtaking home for more breathtaking Impressionist masterpieces. Across the Pont Neuf or Pont Notre Dame on its very own lle da la Cité in the Seine is lofty, medieval Notre Dame Cathedral, where kings and emperors were crowned, with its flying buttresses, gargoyles, towering bell towers [with 10 named bells of various sizes that can do notes from A to G], stained glass masterpieces that include the renowned Gothic-Rayonnant Rose Window, magnificent organ with 8.000 pipes, gigantic doors, and French Gothic interior -- one of the world’s most visited tourist sites. Even gaudy, seedy Pigalle, in Paris’ 18th arrondissement, offers standout lighting: of the famed windmill atop the Moulin Rouge, on its present site at 82 Boulevard de Clichy since 1915. Head northeast to Montmartre and one of the city’s highest points to the famed “stairway to heaven” stairway leading to the monumental Sacré-Coeur basilica [if you happen to be touring by car, your driver will know how to get you on the much closer upper roadway]. Day or night, it’s a great spot for taking photos. Only a few miles outside the city, stay to experience the twilight radiance on Versailles, including the Petit Trianon, Grand Trianon, and gardens. Paris is a walking city, and then some – with steep hills and stairways to climb; and labyrinth Metro stations. So, wear very comfortable shoes. In July, 2017, one Euro equaled $1.15, which bodes well, especially when eating out [an advantage over the Pound]. 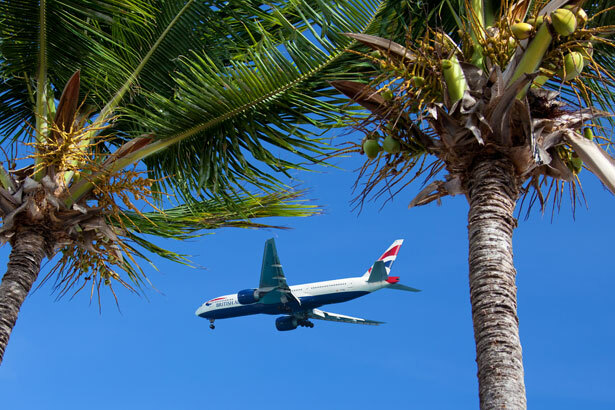 If you have travel plans for summer and can wait until the “Magic Airfare Days” of the dog days of August, when air fares begin segueing to lower Fall prices, you’ll save upwards of $100 booking August 21 on domestic air; booking August 22 international air, over $600. The view from the Grand Staircase, with light from outside and mirrors, is spectacular-plus. The Belle Époque galleries feature classic paintings of “dancing bacchantes and fauna, along with tapestries illustrating different refreshments as well as fishing and hunting.” The magnificent-beyond-description ceiling is by Clairin. The foyer vault, with a ceiling painted by Baudry and a copy of a bust of Garnier by the sculptor Carpeaux, features themes from the history of music. It’s covered with mosaics of shimmering colors on a gold background. In the tradition of Italian theatres, the horseshoe-shaped seating is designed for audience to see and to be seen. The majestic ceiling, painted by Chagall, hides the steel structure supporting the eight-ton bronze and crystal chandelier. The curtain, which has been duplicated twice, was created by theatrical painters Auguste Rube (1817-1899) and Philippe Chaperon (1823-1906), following Garnier's instructions. The backstage areas are vast and flies soar up to the gods. Once a sort of “secret place to court” and for well-heeled subscribers celebrities to mingle during intervals with Champagne and caviar, the Foyer de la Danse, adjacent to the stage which served as inspiration to painters and writers, including Degas and Balzac, is now a salon used by artists, musicians, and the corps de ballet for warm-ups. Throughout the house, the lyre decorates the capitals of the foyers and salons, even heating grids and doorknobs. The Grand Vestibule, “watched over by the statues of Rameau, Lully, Gluck, and Handel,” leads to the exit. 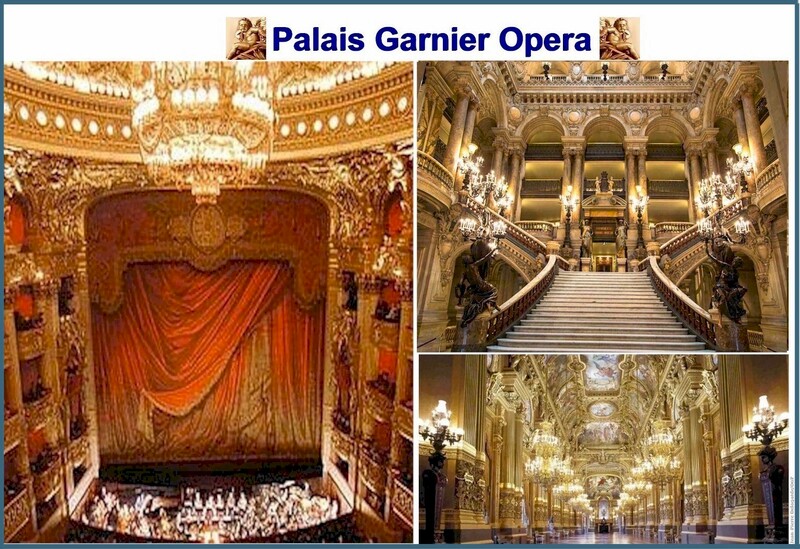 For more information on the Opera Garnier, 8 rue Scribe, schedules, tour/guided tour tickets, and reservations for the very expensive Opéra Restaurant under one of the vaults, visit www.operadeparis.fr. This magnificent and vast Sixth Century colonnaded orthodox cross-shaped edifice high up in the Latin Quarter, across from the Sorbonne, dates to 1744. Built in the neo-Classical style, it’s filled with huge, still vividly-colorful murals of French history. It was the brainchild of Louis XV, who when he became seriously ill and made a vow to build a monument for Saint Genevieve, patron/protector of Parisians against invasions and hunger, should he be cured. He chose the architect Soufflot [and, following his death, his colleague Rondelet] and paid for the tons of marble, soaring Corinthian columns, mosaics, and the columned porch inspired by Rome’s Pantheon of Agrippa, with a royal lottery. For more information, on the Panthéon, Rue du Panthéon at Rue Clotilde, visit www.paris-pantheon.fr. Small admission charge. 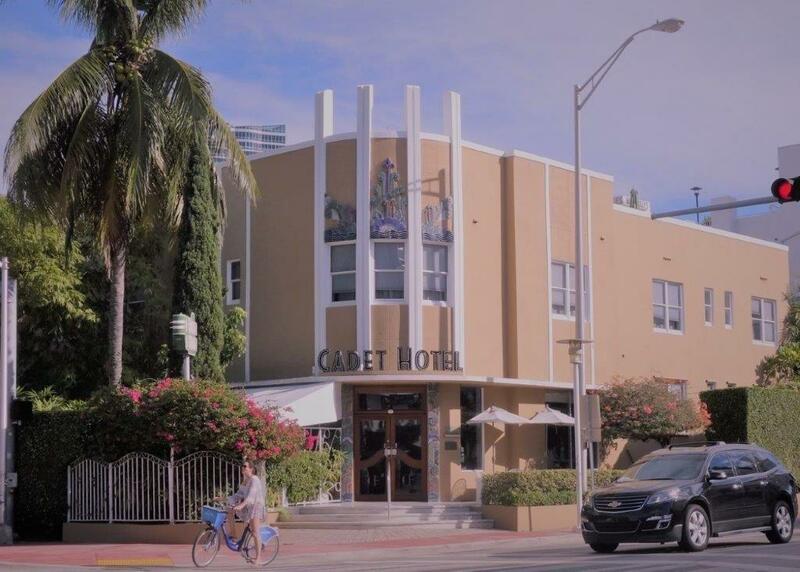 As part of any trip to the Miami area, a visit to the Cadet Hotel in South Beach, Miami Florida is perfect for either a vacation or business stay. The Cadet is an oasis from the frenzy of South Beach, from its lobby entrance to the front desk, its quiet and elegant, all the way from the small bar that leads on through to your room. Before exploring South Beach, the peaceful atmosphere and warm welcome from the Cadet staff — under the direction of General Manager Ardicio Galvao — sets a friendly and professional tone. And once you’ve settled into your room, you can then enjoy a bit of quiet, uncrowded bathing in The Gazebo, the Cadet's pool area where you unwind in a garden paradise. At one point, Miami’s South Beach area went into decline so that by the 1980s, it looked like it was ready for either demolition or renovation. That certainly was the case for the Cadet, where work had begun by its longtime owner Dr. Vilma Biaggi who lovingly renovated this historic hotel to its current beauty. Most important is the Pied a Terre Restaurant which has, over the years, received much acclaim for its fine modern French cuisine created by a special arrangement through visits by carefully chosen top French chefs with their latest creative contributions. 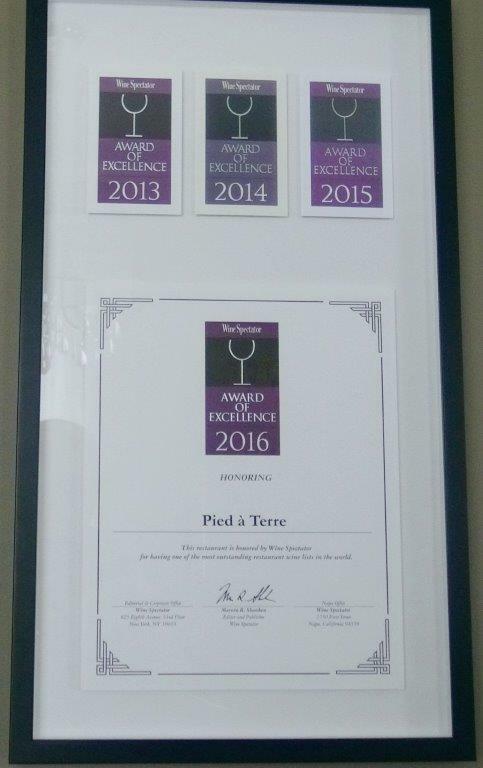 The Pied a Terre has flourished over the years with a top ranking among Miami's ever-changing restaurant world. It has won top awards and has one of the finest wine lists anywhere, having been carefully selected from around the world by Pied a Terre General Manager Patrick Gruest. This fascinating Frenchman described how he chose the wines as well as the finest ingredients from around the world for his dinner selections. As an example, and a perfect opportunity to sample the wonders of the Pied a Terre's dining experience, check out its New Year’s Celebration 2017 menu. While you might not have time to travel to this wonderful restaurant in time for the festivities, the menu gives you an example of the dedication to excellence you'll experience at the Cadet. Of course, South Beach is the Art Deco capital of the United States and, as with the Cadet, the neighborhood is a feast for the eyes in many respects. Art and great style are all around here. 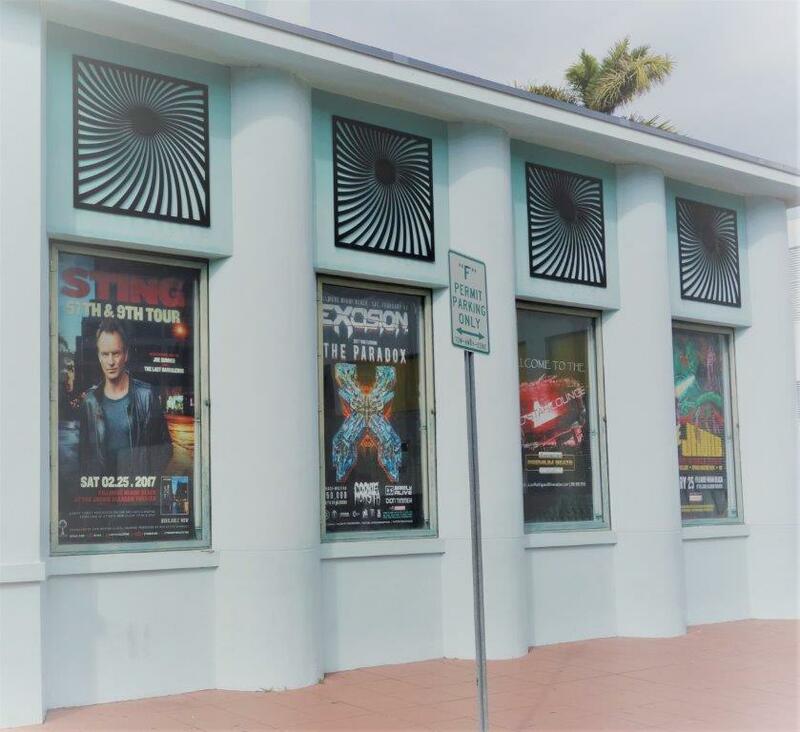 There's plenty to see and do within an easy walk from the Cadet; the beach is a few blocks away and Lincoln Road stores close by to the south. 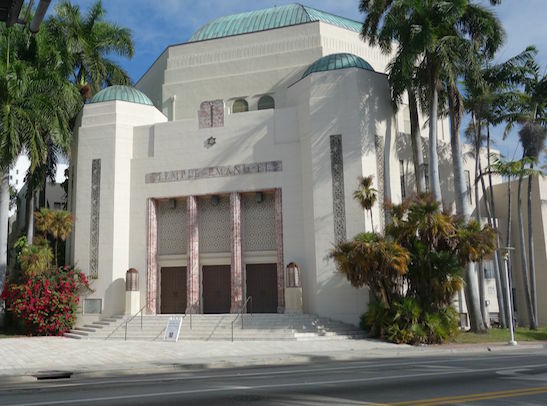 Nearby are the Miami Convention Center, the Fillmore Auditorium and the New World Center — home of the New World Symphony — as is all the club activity on Collins Avenue north and south of the hotel. On a recent visit, my wife and I had a wonderful time there and hotel room prices are very reasonable considering everything including the location, furnishings, decor and attentive staff. A beautiful room with king sized bed was $109 until holiday prices had kicked in. 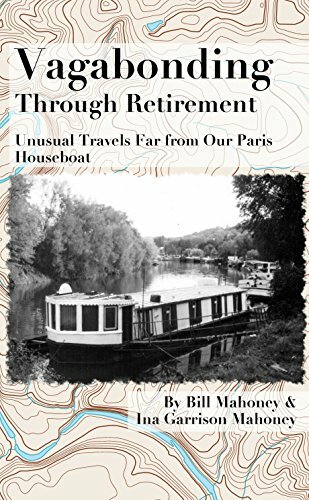 Authors of Vagabonding Through Retirement: Unusual Travels Far from Our Paris Houseboat, Bill and Ina Mahoney have led the life of quintessential wanderers. They’ve not only traveled around the world, but actually lived in places from Laos to Bolivia, the Ukraine and France. Mahoney began hitchhiking across the country working odd jobs at 13; then he sailed the Atlantic as a merchant marine and the Pacific in the navy. He hopped trolleys, trucks, automobiles, and trains. Once he graduated from an adult high school he earned a B.A. at UCLA and an M.A. at Boston University. For 10 years, Mahoney taught world history in Paris. His second book, Is Muldoon Still in Paris, recounts his delinquent childhood and a third book, Mission Paris, is appearing soon. Bill speaks five languages and can tell a story in a dozen others. Ina Garrison Mahoney grew up in the small Texas town of Blooming Grove. She then graduated from Southwestern University with a BA in speech and drama and an MA from the University of Houston. Taking a year’s leave of absence from her teaching job in Victoria, Texas, she went to France in 1958; when she returned to the U.S. five years ago, she had to relearn how to live as an American once again. Armed with passion and a remarkable sense of adventure, this duo seeks out the world through the eyes of people of other cultures. In order to share how they create lifetime memories from traveling, they put together a quick guide to how to have memorable experiences through travel. Browse through the library and bookstores guidebooks. Look for those authored by non-US writers. Both the Rough Guide and the Lonely Planet series were started by young Brits whose clientele weren’t seeking luxury. They have a vested interest in chocking their guides full bargains. While visiting those “not to be missed” sights mingle with the natives. Learn their customs. Visit their markets. Dine on their authentic cuisine. These experiences could go a long way toward giving you a better understanding of the numerous ways to do everyday things other than the American way. Search newspapers, as well as the guidebook, for bargain flights. Some airlines provide free overnight accommodations and food for long distance flights—quite a saving if you’re going to Southeast Asia. Lodging will be your main cost so search for alternatives to hotels. Guest houses are a great recommendation for Thailand. They have all the necessary facilities and with their constant turnover of young backpackers eager to share their latest travel experiences their recommendations are golden. An even cheaper travel option is a visa length stay in a city or country of your choice. Thailand and Bali are favorites, but any country has a great deal to offer. Search for alternatives to taxis such as pickup trucks with benches in the back. Motorcycles are easily rented, but helmets are not normally required. Driving on the left side of the road can present problems for Americans. It is often safer to be a passenger than a driver. Pack light, very light. “Same shirt, different day” is a great byline to keep in mind for any type of independent travel as handling your own luggage saves tip money. Clothes should be functional. Leave your expensive jewelry at home. It is an invitation a thief looks for. Be flexible. If your carefully planned trip falls through, don't fret—reschedule or forget it. Something else could be serendipity.